Not really. But i do wish i get to see one, even if i didn't have a camera in hand at the time. Nobody would believe me though. All the more better! Been seeing a lot of awesome long-exposure images online. Couldn't get past this when holding onto it, sans a tripod. I'll go prepared the next time around. 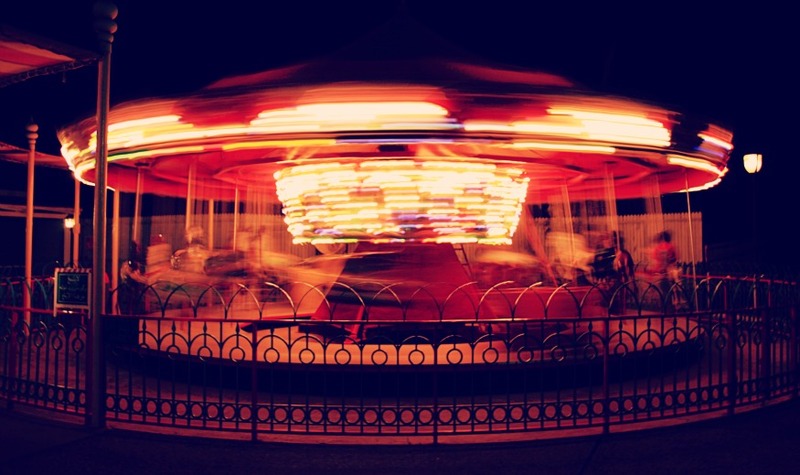 A merry-go-round at the Entertainment City, Kuwait.